China Highlights, Discovery Your Way! Discover China through our unique tours with award-winning guides and with 1:1 help from a dedicated China expert, every step of the way. China Highlights have specialized in private China tours for over 20 years; it’s all we do. "Nihao and welcome to China!" The three tours below will give you an idea of what&apos;s possible if you travel with us. Our tours are always designed to help you experience authentic China. Feel free to customize any tour to incorporate your preferred destinations, interests and schedule. Enjoy China’s classic scenery in Guilin, as well as ancient culture in Beijing and Xi’an, and classy Shanghai, all in 11 days. China Highlights&apos; most popular tour: private guide, driver, and car throughout. You take the trip; we take the stress. 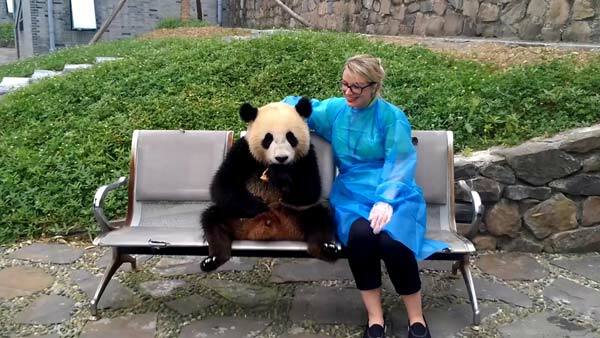 Cover the most famous sights in Beijing, Xi&apos;an and enjoy your close encounter of Panda Keeper Program at Dujiangyan of Chengdu.